Seed is a wall-mounted night lamp. 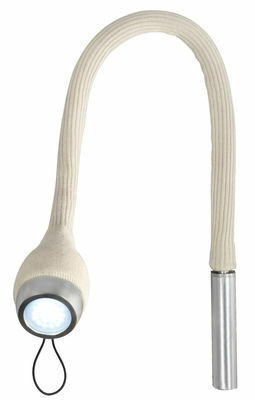 Seed creates a unique reading environment through its filtered light source from a low watt energy saving LED. 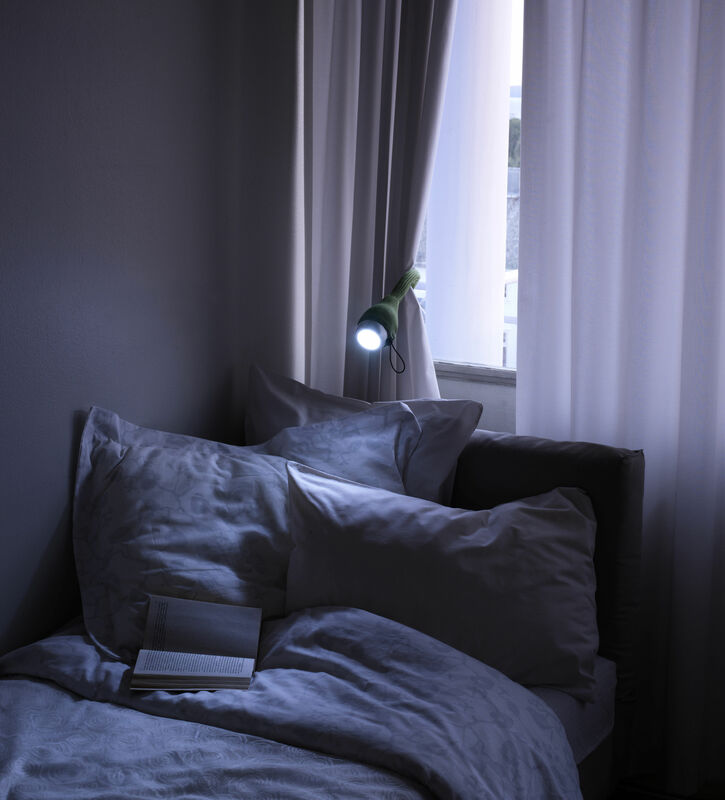 The focused, yet soft, beam emitted from the diodes makes it possible to read in bed while your partner sleeps. 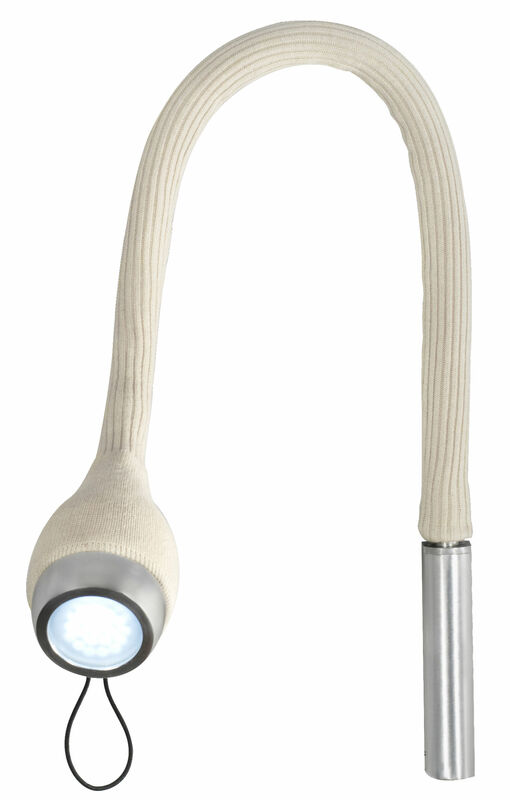 The ‘revolving arm of light' can point in a variety of different directions and can be easily fixed to the wall in any desired position. The front-end light switch makes it easy to turn the light on and off and, since the lamp does not emit heat, Seed is safe to touch, even by children. Seed is available with four different colours of fabric. The package also includes patterns, tips and suggestions on how to create your own personalised cover. 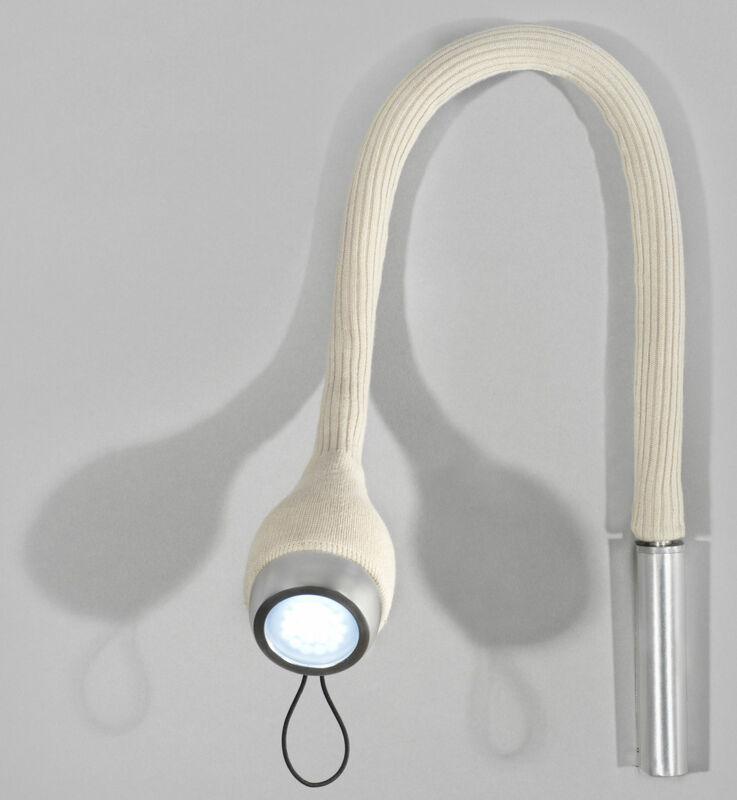 The lamp is inspired by a seed - rising and growing into a plant.